Add a dash of emotion, which is more than twice as effective as logic in advertising. Leverage power words that resonate with your prospects. Prioritize trust through security certifications, partner logos, social proof, and testimonials from your favorite customers. 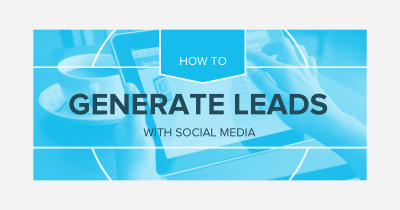 Resist the urge to add multiple calls to action. It only confuses visitors. All you need is one CTA that is clear, compelling, and concise. 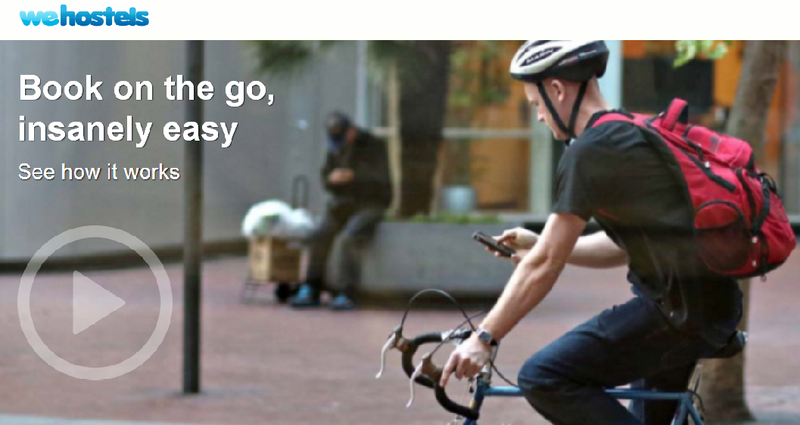 Any more, and your landing page becomes an instant mess. Let’s look at a few sample landing pages that do it well. They’re beautiful, engaging, and well-designed. 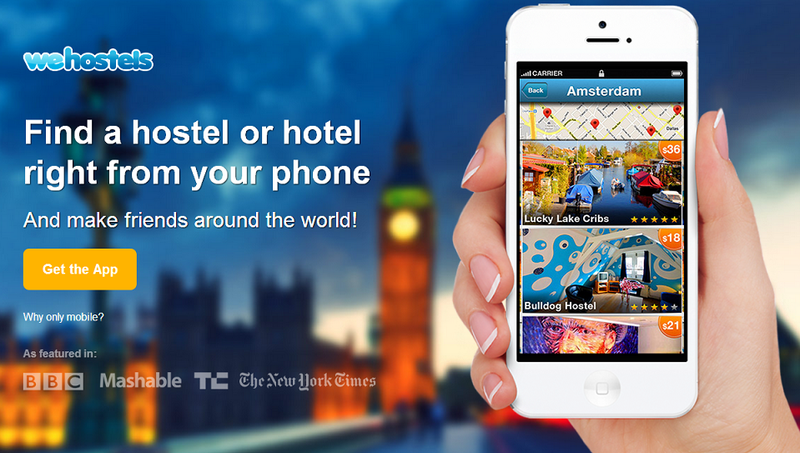 WeHostels is a mobile startup that helps travelers find hotels. Simplicity, efficiency, and innovation are values that are core to the product’s mission and vision. Beautiful imagery instantly showcases the beauty of world exploration. 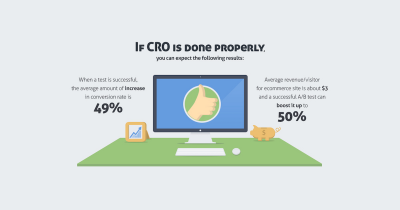 A strong CTA tells users exactly what to do to get started. The subheading, “make friends around the world,” positions WeHostels as an emotional and transformative life experience. 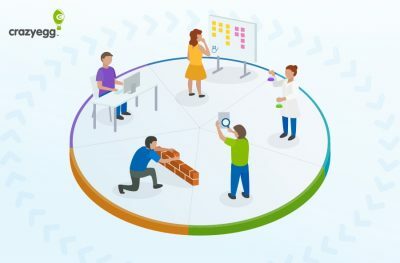 Keep scrolling down the landing page, and you’ll find an explainer video that brings these values to life. The key takeaway? How much WeHostels communicates with so few words. Awe-inspiring imagery and video do all the work of orienting users. Data is a double-edged sword: equal parts confusing and compelling. When marketing for B2B, however, numbers are invaluable for explaining your company’s value proposition. 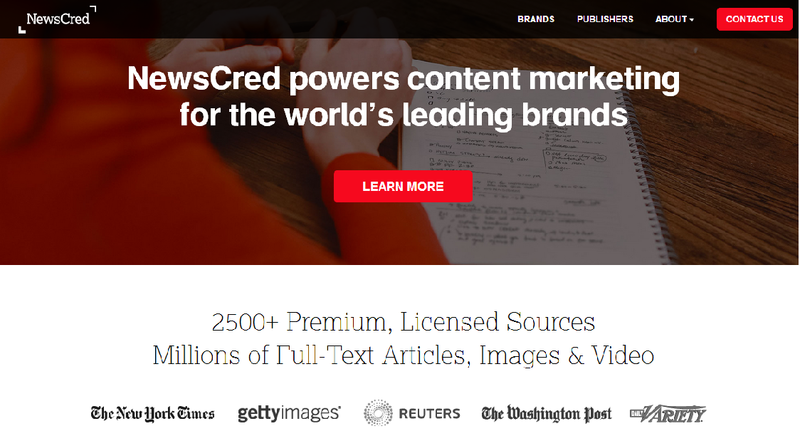 Take NewsCred’s homepage as an example. This content marketing and syndication platform explains a powerful metric, that clicks from shared content are five times more likely to drive a purchase. It’s a simple, single-digit number that signifies strong results. The key takeaway? Humanize your data as a storytelling tool to move your prospects to a clear and simple action (via your CTA). Whatever your marketing message, make it about your users. Right off the bat, using the word “you” can build instant rapport. It’s also the simplest way to strike an emotional chord. Take a look at Pulse’s homepage, and stake a step back. How does it make you feel? It’s a mobile news reader that’s customized to you. The key takeaway? Get to know your customers, then introduce details that let them know you “get” them. What are some of your favorite landing page tactics? Feel free to share your thoughts in the comments section below.